Tunisia offers a “sun cuisine,” based mainly on olive oil, spices, tomatoes, seafood (a wide range of fish) and meat from rearing (lamb). Tunisia offers also a range of desserts starting from honey cakes stuffed with makhroud dates (a Kairouan speciality) to fresh figs, chick pea flour cakes, brick layers with almonds and honey (baklawa) which are found more or less everywhere, bouza (hazelnut or sorghum cream and grilled sesame seeds) served during the Ramadan meals, and assida, a thick flour cream and grilled pine seeds, and, depending on the meals at hand, pistachio. Pronounced ‘breek,’ is traditionally the second course of the Ramadan meal, and is much easier appetizer to prepare. Deep fried brik is made from a thin, hand-made circular pastry shell called malsouqa filled with different ingredients depending on the cook’s preferences. The most popular version is the egg brik, which is filled in with a whole egg, parsley, and tuna. Ingredients such as capers and cheese may also be added. The pastry is folded into a triangular pocket with parsley leaves, tuna, capers and cheese. Brik is often garnished with a few drops of freshly squeezed lemon juice. Mechouia is a Tunisian summer salad made with tomatoes and peppers. Salad Mechouia is often prepared in two versions; hot and mild, depending on the pepper taste. For those who like it hot, Salad Mechouia made spicy is a perfect accompaniment to lamb or grilled fish. Usually the mild Salad Mechouia is consumed as an appetizer or served with high quality tuna, olives and eggs as an aperitif, spread on grilled toasts or as an accompaniment to baked or fried fish or grilled lamb or chicken. I s Nothing like moroccan tajine is a baked casserole of egg, meat and spices that is similar to an Italian frittata. Often, the meat chosen is lamb, veal or chicken cut into very small pieces and made into a little stew with spices, such as cinnamon or coriander added. There is then a starchy thickening agent added (bread, potato) before the egg, cheese and parsley and/or mint are added. After that, it is baked into a pan until just crisp, cut into squares and served as an appetizer that one eats with their hands. The result is a cheesy casserole bite that contains meat and a variety of flavors. Tajine is not a spicy dish. L Like in the rest of North Africa, couscous is served on all occasions. It is traditionally eaten with lamb, the semolina must be very fine, and the vegetables (carrots, little white cabbages, turnips, chick peas) only lightly cooked. Depending on the season, the vegetables change: there may also be cardoons, cold broad beans, or pumpkin. Couscous is a semolina cooked with the vapor and sprinkled, after cooking with a sauce. The seeds can be large, average or fine. It is specifically the sauce which, by its contents, makes the infinite variety of the couscous: vegetables, fish, octopuses, lamb, beef, chicken… Different spices are found depending on the region, like cinnamon (kerfa) or dried and crushed rose buds (chouch el ward). The bedouin meal holds more anthropological than culinary interest, One of ethnic curiosities you must try before dying. is a flat bread, which you should try, since you’ll never make it at home: it’s baked in an open fire in direct contact with embers and hot sand. (Not as scary as it sounds. Since the loaf is unleavened, with no cracks or swellings to trap ash or grit, it brushes clean.) Actually, you should try only the crust, dipped in harissa. The crumb is like partially set mortar. The other type of bread women make on a daily basis in the countryside oF tunisia is khobz tabouna, For about five hours a day, country women are mixing and kneading, letting rise and slapping down, and forming nice flat, round loaves of durum wheat bread about the size of the American dinner plate. The tabouna is outside, usually just past the women’s courtyard. It’s about four feet tall and at its base, around three feet wide, narrowing toward the top. The oven is made of baked earth, what we would call adobe here. It’s blackened rim and interior attest to the multitude of loaves these ovens have had slapped onto their sides for baking. Yeah, the bread does not lie flat in the oven. Instead, it is sprinkled with cold water and bakes vertically — turned periodically — on the sides of the interior. The tabouna has first been filled with stones and kindling, and when the fire simmers down, it is the heat of the stones that bake the bread. The other novelty is gargoulette. Like tajine, gargoulette describes both a terra-cotta vessel (tall, narrow, unglazed) and a dish (lamb stewed with peppers, tomatoes, paprika, and turmeric). The pot is sealed with luting paste, set in a hole lined with coals, buried picturesquely up to its neck in sand, and ultimately whacked open with the blunt edge of a heavy cleaver. Butchered according to rules laid out in a medieval manual that is still finding its way to the West, the meat inside is delicious, if completely, frighteningly mysterious. Mix the ground lamb or beef meat with the onion, salt, pepper, cinnamon, and all spice and knead to a soft paste. Make little balls or ovals the size of a small walnut. You may fry very briefly in oil, shaking the pan, to brown them slightly all over, then drain on paper towels. Alternatively, put them on a baking sheet and roast them for about 7 minutes in the hottest oven, until slightly colored. Serve kofta with tomato sauce and a Tunisian Carrot Salad Tunisian carrot salad Meanwhile, cut carrots into 5cm lengths; slice pieces thinly lengthways. Cook carrot on heated oiled grill plate, uncovered, until just tender. Place carrot in large bowl with remaining ingredients; toss gently to combine. Olive Oil s the driving force of organic agriculture in Tunisia where olive groves spread over 125,000 hectares in which 40% of the total area is cultivated using organic methods. 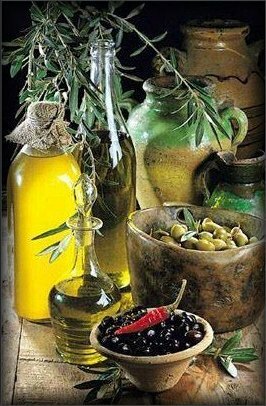 The production of organic olive oil increased from 12,000 tons in 2006 to 25,000 tons in 2009, growth that makes Tunisia the leading producer of organic olive oil in the world and reflects the dynamism of the market and interest in this sector. Today, 50 Tunisian operators thrive thanks to organic olive oil.